1. "I sought the LORD, and he heard me, and delivered me from all my fears" (Psalm 34:4). 2. "Do not be anxious about anything, but in everything, by prayer and petition, with thanksgiving, present your requests to God. And the peace of God, which transcends all understanding, will guard your hearts and your minds in Christ Jesus" (Philippians 4:6-7). 5. The LORD is my light and my salvation-- whom shall I fear? The LORD is the stronghold of my life-- of whom shall I be afraid? 6. "Why are you downcast, O my soul? Why so disturbed within me? Put your hope in God, for I will yet praise him, my Saviour and my God" (Psalm 42:5). 7. "I can do everything through him who gives me strength" (Philippians 4:13). My song is of mercy and justice; I sing to you, O LORD. I will walk in the way of perfection. O when, LORD, will you come? I will not set before my eyes whatever is base. I will hate the ways of the crooked; they shall not be my friends. The false-hearted must keep far away; the wicked I disown. Those who secretly slander their neighbours I will bring to silence. Those of proud look and haughty heart I will never endure. I look to the faithful in the land that they may dwell with me. Those who walk in the way of perfection shall be my friends. No one who practises deceit shall live within my house. No one who utters lies shall stand before my eyes. uprooting from the city of the LORD all who do evil. Leader: O God, you have made us humans in your image and given us freedom and responsibility. All: Freedom to love and responsibility to serve. Leader: Grant us now a sense of tolerance, the strength to trust that God is at work in everyone's life. All: Let us recognize your life in us and in all others. Leader: We pray, too, that our actions reflect the kindness of our words. All: May all see hope in us. 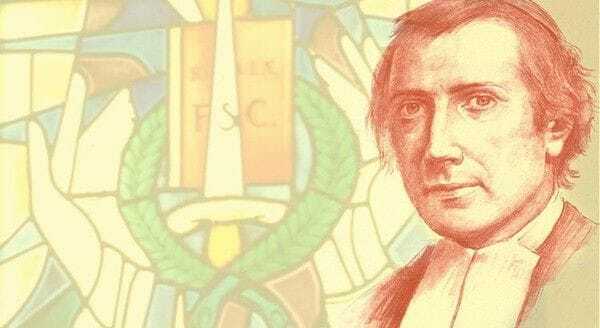 We pray in solidarity with all our Holy Brothers, our Lasallian Saints and St John Baptist De La Salle, our Founder, that on the occasion of his canonisation, Brother Solomon will intercede for us especially in times of challenge and difficulty. May his courage and sacrifice be an inspiration for all Lasallians as we seek to touch hearts in a world of great change, disruption and uncertainty. May his life be an inspiration for all young men who feel called to follow God's invitation to be his servants in a world desperate for word and action, that respects the dignity and needs of all people of good will. We make this prayer in the name of Jesus and all who have faithfully followed him to the cross. Amen. 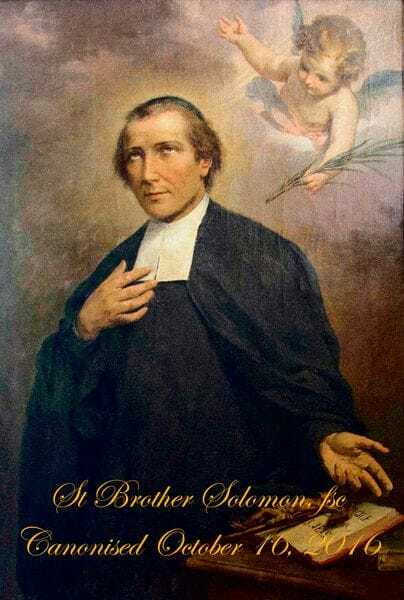 We pray that along with all our Lasallian Saints and St John Baptist De La Salle, our Founder, that Brother Solomon will intercede on our behalf especially in times of challenge and difficulty. May his courage and sacrifice be an inspiration for all Lasallians as we seek to touch hearts in a world of great change and uncertainty. 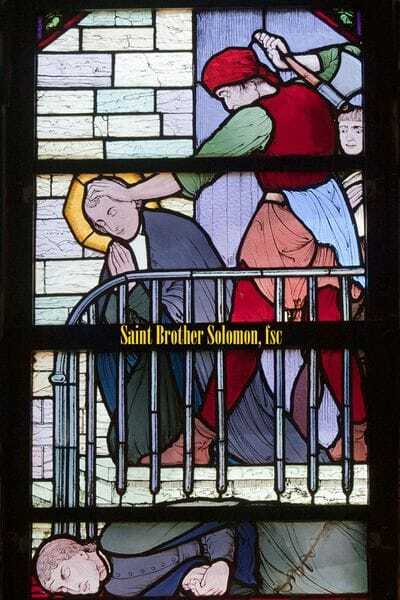 Saint Brother Solomon: Pray for us. About: Br Geoffrey is a member of the De La Salle Brothers community in Cronulla NSW.